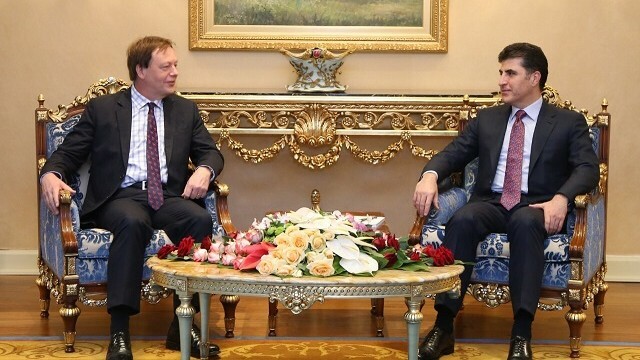 Erbil, Kurdistan Region, Iraq (cabinet.gov.krd) – Prime Minister Nechirvan Barzani received Mr. Matthijs Wolters, newly appointed Ambassador of The Netherlands to Iraq, with his delegation. Ambassador Wolters commended the Kurdistan military forces, the Peshmerga, for their role in the fight against the Islamic State terrorist group, ISIS. He also praised the government and people of the Kurdistan Region for having accommodated and provided services to a large number of displaced people. Ambassador Wolters expressed his country’s readiness to offer assistance to the Kurdistan Region in various fields. The referendum on Kurdistan independence to be held on 25 September was also discussed. 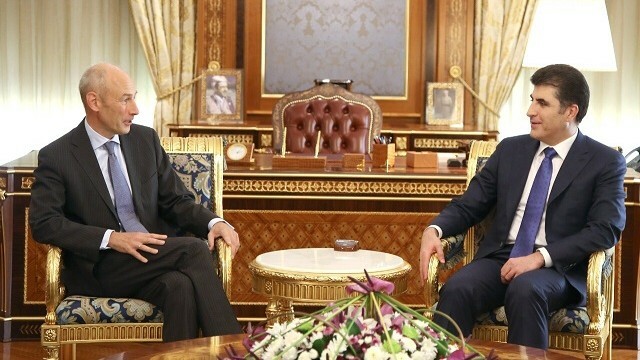 Prime Minister Barzani briefed the Dutch Ambassador about the reasons that led the Kurdistan political leadership to hold the referendum that included Baghdad’s failure to honour its constitutional obligations towards the Kurdistan Region. He stated the referendum is a step toward securing the legitimate rights of the people of Kurdistan. He stressed the need for serious and friendly dialogue between Erbil and Baghdad, a junction point where the international community could play a positive role. Prime Minister Barzani reaffirmed coordination and cooperation will continue among the Peshmerga, the Iraqi army, and the international coalition in the fight to eliminate ISIS and the terrorist threat. ERBIL, Kurdistan Region (Kurdistan 24) – The United Nations Security Council (UNSC) on Thursday voiced concerns over the Sep. 25 referendum in the Kurdistan Region, claiming it would destabilize the region. “The members of the Security Council expressed concern over the potentially destabilizing impact of the Kurdistan Regional Government’s plans to unilaterally hold a referendum next week,” UNSC President Tekeda Alemu stated in a statement. 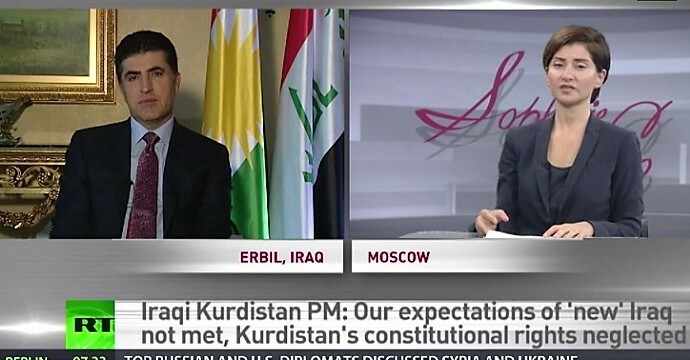 The Kurdistan Region has insisted on holding a referendum on independence from Iraq despite the opposition of neighboring countries and the international community. The Kurdish leadership has repeatedly said that the vote will not be postponed unless the people of the Kurdistan Region receive a guaranteed alternative for independence from the international community. “Council members note that the planned referendum is scheduled to be held while counter-Islamic State in Iraq and the Levant (ISIL/Da’esh) operations — in which Kurdish forces have played a critical role — are ongoing, and could detract from efforts to ensure the safe, voluntary return of over 3 million refugees and internally displaced persons,” the UNSC statement reads. Senior Kurdish officials have previously highlighted that it was the Peshmerga forces who destroyed the myth of the Islamic State (IS) in 2014 when the Iraqi army collapsed and affirm the referendum in no way would affect the efforts of fighting the jihadist group. The Constitution of Iraq has been one of the main points of conflict between Erbil and Baghdad. The federal government of Iraq labels the Kurdistan Region’s Referendum as unconstitutional while the Kurdish officials in Erbil emphasize that Baghdad has violated multiple articles of the Constitution and failed to uphold its primary tenets. An independent Kurdistan has been a long-awaited dream of over 40 million stateless Kurds around the world. The Kurdish officials have repeatedly criticized Baghdad for treating the people of the Kurdistan Region as second-class citizens. Erbil, Kurdistan Region, Iraq (cabinet.gov.krd) – Prime Minister Nechirvan Barzani received Marco Carnelos, Italian Ambassador to Iraq, accompanied by a military and diplomatic delegation. The two sides discussed the military situation in the region, coordination between the Peshmerga and Italian forces as well as the conditions of the Italian forces that are deployed to protect the Mosul Dam and the Italian company which is in charge of reparation of the dam. 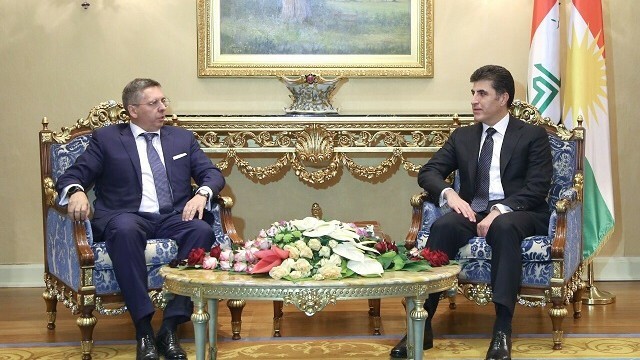 The planned Kurdistan independence referendum and the international mediation efforts between Erbil and Baghdad were also discussed in the meeting. Prime Minister Barzani stated that the referendum is not the goal by itself, but a means helping to meet the legitimate rights of the people of Kurdistan. Meantime, he stressed the need to have serious dialogue between Erbil and Baghdad in which the international community can play a constructive role. Over the past century, we have not had any real exercising of the principle of partnership in Iraq. We have instead experienced a series of injustices including the genocidal Anfal campaign and bombardment by chemical weapons. It is therefore in pursuit of peace and avoiding further conflicts that the people of the Kurdistan Region decided to hold the referendum to determine their destiny and move towards independence. The people of the Kurdistan Region took this decision, and it is, therefore, a natural and a just right, which does not violate any divine or human principles. Additionally, this democratic exercise is in no way meant to create any hostilities towards any components of the Iraqi society. On the contrary strong foundations will be built for new historical relations between the people of Kurdistan and the Iraqi people, and will put an end to those who want to sow discord and fuel differences between the two peoples. Any statement or behavior that can be perceived as hostile to the principles of brotherhood and peaceful co-existence has nothing to do with the supreme values of our people or the general policies of the Kurdistan Region, which has historically taken pride in its culture of coexistence and tolerance. Today, as our people move toward independence, it is imperative that we hereby assure everyone that we cannot confuse the criminal and inhuman behavior of the Iraqi regimes against the people of Kurdistan and the spirit of brotherhood that binds the people of Kurdistan with the Iraqi people. We affirm that the referendum process will not negatively affect the continuity of that spirit and friendship. Not only will the brotherhood between the peoples of the Kurdistan Region and Iraq continue, it will also be further deepened. It is also noteworthy to remind everyone that all of the components of the Iraqi society were victims of the criminal acts of the successive dictatorial regimes in Baghdad. We, along with other Iraqis always collectively fought, in one trench and one front against injustice and tyranny. As the citizens of the Kurdistan Region pursue their just rights, we ask them to take into account the supreme values of our people and our culture of brotherhood and peaceful coexistence between the ethnic and religious components of Iraq. Furthermore, we ask our Iraqi brethren to understand that the people of Kurdistan have never been the reason to destabilize Iraq’s unity or the principles of partnership and coexistence. The dictatorial regimes of the successive Iraqi governments have heavily contributed to creating an Iraq where governments were placed to sabotage those principles. 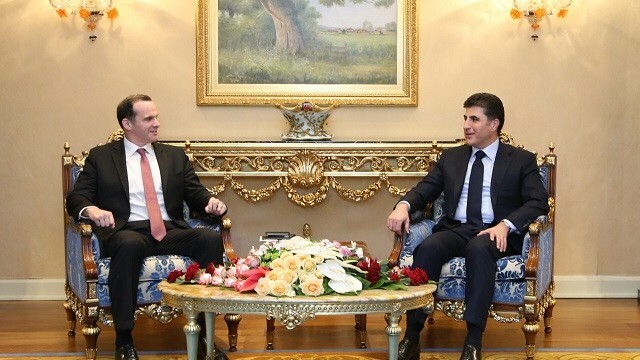 Erbil, Kurdistan Region, Iraq (cabinet.gov.krd) – Prime Minister Nechirvan Barzani received Frank Baker, British Ambassador to Iraq and his accompanying delegation. 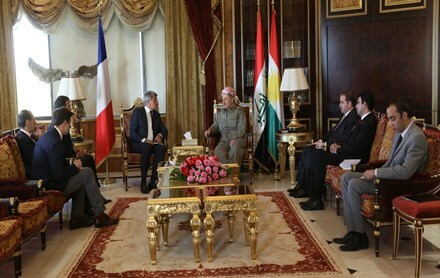 The two sides discussed the current situation in the Kurdistan Region, particularly reconvening of the Kurdistan Region Parliament and the independence referendum, to be held on 25 September. The relations between Erbil and Baghdad were highlighted in the meeting. They stressed the need to resolve the outstanding issues through dialogue and mutual understanding. The two sides also discussed the latest developments in the fight against the Islamic State terrorist organization, ISIS, in Iraq and the region and the situation of the liberated areas from the terrorist group, particularly the issue of the return of IDPs to their places of origin. Erbil, Kurdistan Region, Iraq (cabinet.gov.krd) Prime Minister Nechirvan Barzani received the US Special Presidential Envoy for the Global Coalition to Counter ISIL, Brett McGurk, and his accompanying delegation. Discussing the Kurdistan independence referendum, planned to be held on 25 September, the two sides stressed that all the outstanding issues between Erbil and Baghdad should be settled through serious dialogue and mutual understanding. They also discussed the latest development in the fight against the Islamic State terrorist group, ISIS, in Iraq and Syria and the possibilities for the displaced persons to return to their places of origin that have been liberated from ISIS.